Matt & Nat represents the ultimate cruelty-free zone for all vegan accessories. 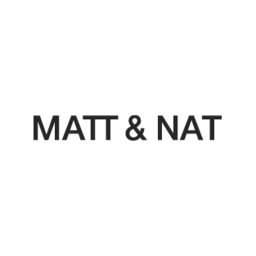 Whether you’re looking for handbags, small vegan goods, lifestyles and footwear for men and women, Matt & Nat is the place to come. Since 2007, we have been committed to using linings made solely of 100% recycled plastic bottles. Today, we are proud to announce that we have recycled over four million plastic bottles as of 2018 in the manufacturing of our bags. Matt & Nat is based in the vibrant city of Montreal, Quebec, a Canadian company since its inception.